Today, the Queen will retrace King John’s steps along the three-and-a-half miles from Windsor Castle to Runnymede to commemorate the 800th anniversary of the revered document that came to be known as Magna Carta. This celebration of what is now seen as a momentous constitutional event will stand in marked contrast to the atmosphere in 1215. Then, King John made the journey from Windsor to Runnymede as a much-embattled and widely hated ruler seeking to avert (or at least postpone) civil war. Magna Carta has subsequently been celebrated as a guarantor of fundamental rights and freedoms. The most famous clauses promise a free man “the lawful judgement of his peers or of the law of the land”, and undertake that “to no one will we sell, to no one will we deny or delay right or justice”. Yet, the 1215 charter was in no way designed to set out far-sighted principals establishing the rights of man. Instead, the barons gathered at Runnymede had more immediate priorities: to deal with the problem of King John. John was far from being a successful king. He had trouble even before the start – his right to rule was not entirely clear-cut. The right to succeed Richard I (the Lionheart) was not only claimed by his brother John but also by their nephew, Arthur of Brittany. After overcoming this threat – and following his capture of Arthur in 1202 (and subsequent presumed murder), John succeeded only in stirring up revolt in his continental lands (which extended through western France, from the English Channel coast to the Pyrenees), losing control of all but Aquitaine. Forced therefore to spend much more time than his immediate predecessors in England itself, he compounded his issues by falling into a long-running dispute with the church. Here, his effort to assert what he perceived as long-standing royal rights led to the imposition of the severest sanctions that medieval popes could impose: interdict (the cessation of the sacraments) and excommunication (casting the sinner from the Christian flock). Despite all this, John did not give up on his hope of regaining his territorial losses, raising huge sums to pay for a campaign that eventually took to the field in 1214: only to meet with defeat when the king’s army refused to fight for him (in Poitou), and his allies were destroyed at the Battle of Bouvines (in northern France). So not a great record. Accordingly, it is tempting to conclude that John was a weak king, and many have done so. 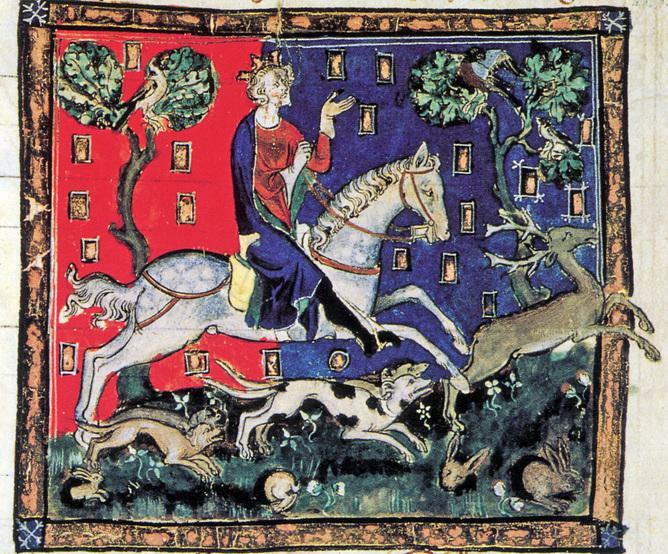 The image of “bad King John” has trundled on these past 800 years, both in historical writing and popular culture. Many of us get our first image of John from AA Milne: “King John was not a good man, he had his little ways”. But actually John was far from weak. In many ways, he was one of the strongest rulers to occupy the English throne. Brought up in the household of one of his father’s chief officials, Ranulf de Glanville, John was schooled, and for much of his career worked alongside some of the great administrators of the day. He had an eye for bureaucratic detail – and indeed some historians, for instance Lewis Warren, and most recently Graham Seel, have argued that the ways in which he developed government do not make him such a wholly “bad” king. John ruthlessly pushed the machinery of government as hard as he could. The result was a system of justice, administration, and revenue-raising designed, developed, and exploited to accumulate the maximum sums possible. In part, this built upon methods employed by John’s father, Henry II, and his brother, Richard I. Ruthless he may have been, but “weak”, the marker of an inherently bad king, he was not. In this way, historians have argued that Magna Carta was in part a judgement on some 60 years of Plantagenet royal rule. But of course, it was imposed on John, and not on his father or brother, a fact which speaks volumes about just how bad he was. He drove the system further and harder than it had ever been before, resulting in fear, mistrust, and mounting baronial debt. All this overseen by a king who was not delivering the sort of military success that might either have redeemed his reputation or made him seem invincible. So, even if John was an able administrator, he did not seem to understand the need to limit his demands. Nor did he consult widely in determining his policies. Coupled with his military failures, he succeeded only in appearing treacherous, exploitative and unsuccessful. The barons assembled at Runnymede wanted to make a statement that enough was enough. They sought limits to specific ways in which their king would take money from them. They wanted their affairs to be dealt with fairly in the royal courts. In doing so they took an important step in establishing the idea that the king should not be above the law. But in the prevailing atmosphere of distrust in 1215, it is perhaps unsurprising that the June agreement lasted only a few weeks before it collapsed. Civil war ensued. The rebel barons took the unprecedented step of offering the throne of England to a French prince: Louis, son and heir of the French King Philip II, invaded England at the head of an army. John died in October 1216. The evolution of Magna Carta in the following decade sealed John’s posthumous image as a tyrant. The document was re-issued (in 1216, 1217, and 1225) and reinvented as a means of recovering and restoring faith in royal government, under John’s heir, Henry III, who came to the throne aged just nine, and whose supporters succeeded in defeating the French invaders. Those who looked back on the reign in the decade, generation, and then centuries that followed, increasingly came to see Magna Carta as a defining stand against tyranny. It even became possible to argue that “bad” kings were a necessary evil, because their rule sparked “good” constitutional developments. But the disaffected barons assembled at Runnymede 800 years ago, driven to impose constraints on their king, would hardly have agreed. Paul Webster is Teaching Associate in History at Cardiff University.